Kyouhei is broke and out of a job, so he decides that the best way to make some quick money is by winning the best class booth prize at the school festival day. He single handedly mans a takoyaki stand, and it’s popular with the ladies due to the cook, but several bullies show up and a fight breaks out, leading to gas canister falling over causing an explosion and the end of Kyouhei’s entrepreneurship. 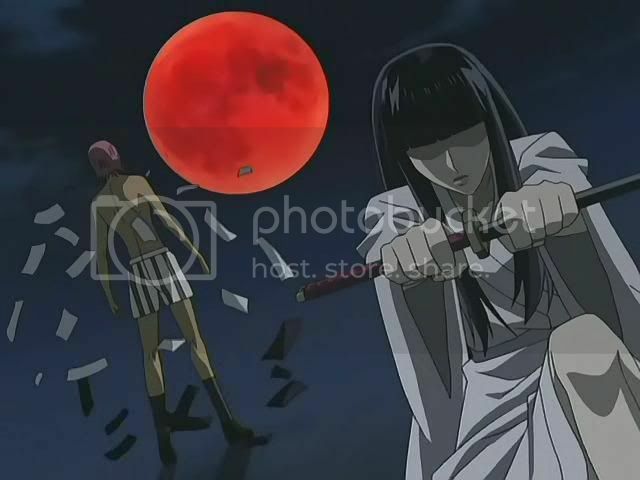 He decides instead to help Sunako’s class win after hearing that she’d get all the prize money since they left her to do everything. 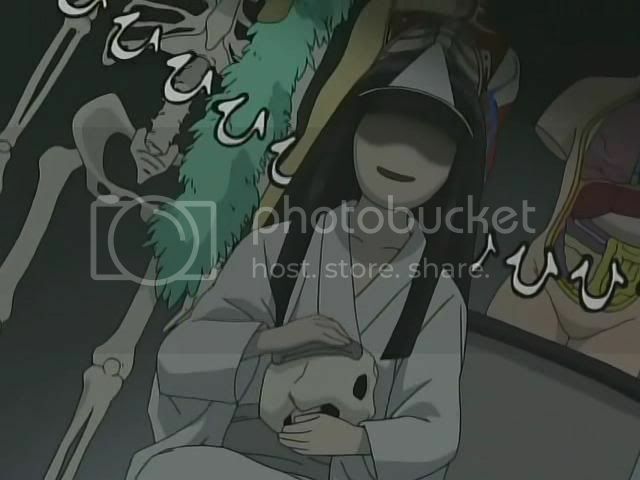 And of course Sunako is doing a horror house theme, and doesn’t really care if no one shows up. Kyouhei enlists his 3 fellow Horsemen of the Apocalypse to help him out against their will, and business picks up once word spreads that there are 4 studs running the horror house. That evening at the prize presentation ceremony Sunako’s class ends up winning the 500,000 yen prize, and Kyouhei wins an additional 100,000 yen for being voted Mr. Mori High. 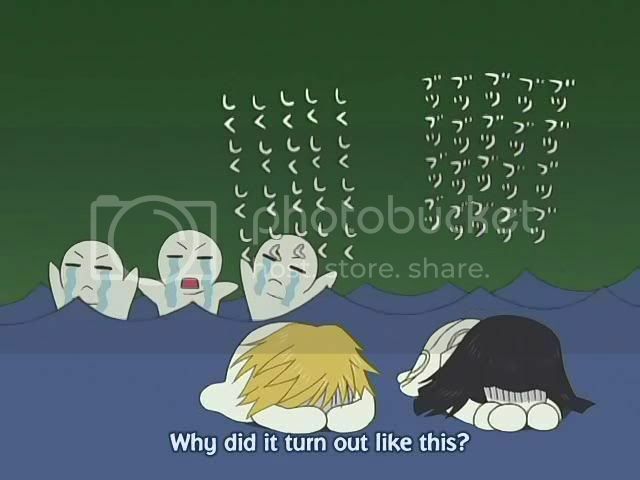 Things than get ugly as the bullies who ruined Kyouhei’s takoyaki stand earlier show up to protest the win, as the four of them aren’t even in Sunako’s class, and Kyouhei is responsible for the explosion on the school grounds earlier. This leads to a big school-wide brawl between the girls who support the handsome foursome and the guys who object to being called ugly by the girls. 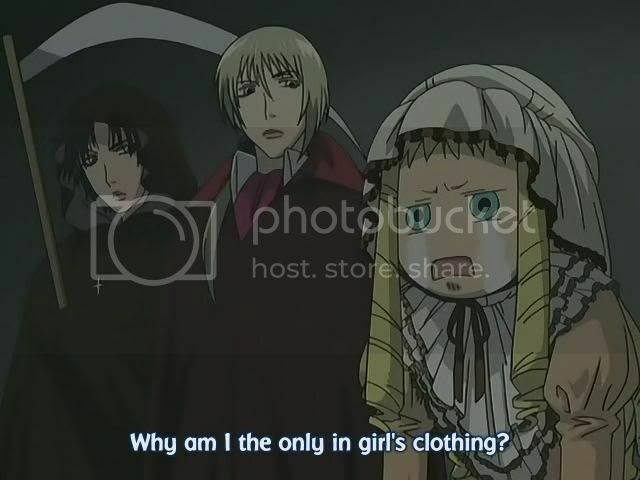 In all the chaos, Kyouhei explains to Sunako how he hates being a pretty boy and all the attention he gets for it, citing how he’s gotten fired and quitting jobs due to sexual harassment either from his seniors or his customers. 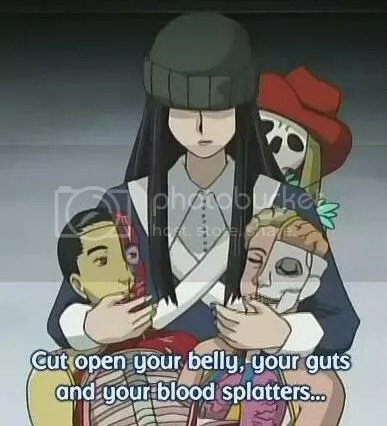 The head of the bullies than shows up to pick a fight with Kyouhei, but Sunako takes care of him in her own special way. When everything settles down, they announce winner of the Ms. Mori High award. A whole lot of voters just fell for a trap. Back at the mansion, the 3 guys decide to give Kyouhei their share of the prize money since he and Sunako did most of the work. 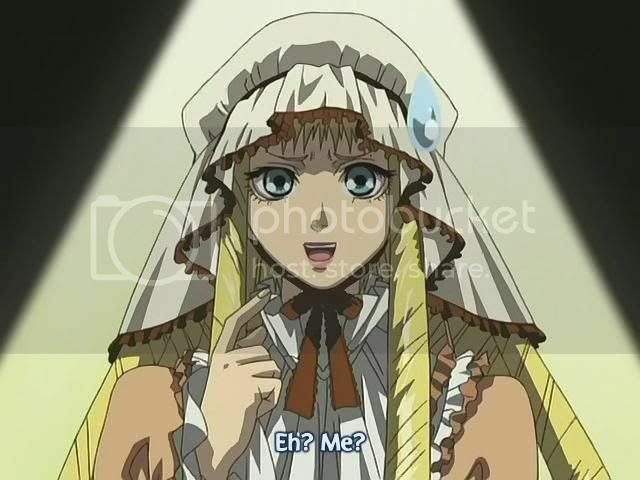 Sunako agrees to give Kyouhei her share of the money in exchange for him to leave her alone. Unfortunately, Kyouhei than receives a call from the school, charging him the exact sum of the total prize money they won for the damages caused by the explosion from his takoyaki stand! 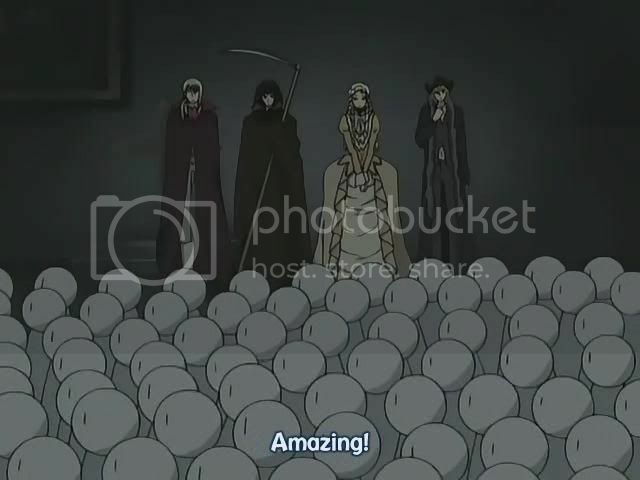 So Kyouhei is broke again, and the show ends in another mass bout of depression! ~ by 6six6 on November 20, 2006.